Delayed by the government shutdown, last week the U.S. Department of Agriculture (USDA) released the long-awaited 2017 Census of Agriculture. The 2017 Census surveyed nearly three million potential U.S. farms and ranches. Spearheaded by the National Agricultural Statistics Service (NASS), the Census remains the most comprehensive source of agricultural data for state and counties across the U.S. and guides most federal farm programs, policies, and funding decisions. 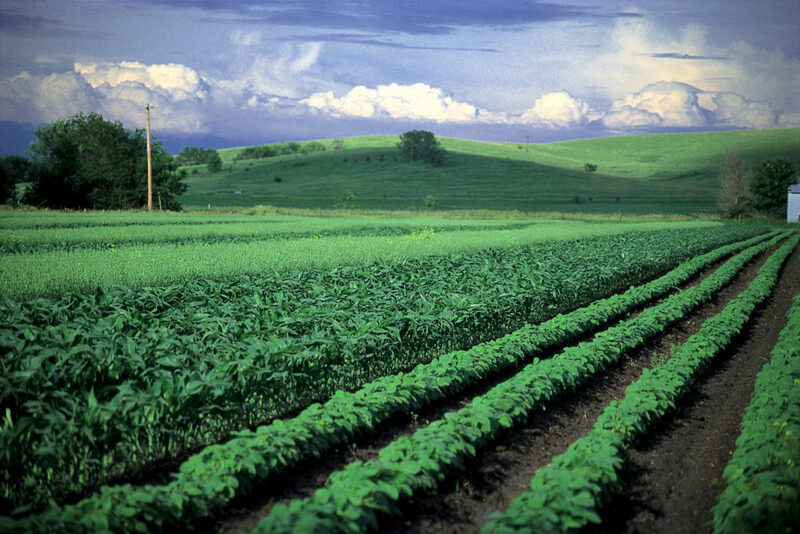 According to U.S. Secretary of Agriculture, Sonny Perdue, the Census tells “the tremendous story of U.S. agriculture and how it is changing.” And changing it is. Increased consolidation and economic concentration, declines in the number of farms, land being farmed, and farm income have occurred since the last census in 2012, and similarly, over the past decade. However, the number of beginning farmers, organic farms, and local food sales continue to climb – a bright spot in an otherwise bleak farming outlook marked by continued shrinking of the “ag of the middle” and decreased farm profitability. Overall, the 2017 Census of Agriculture reports that the total number of farms is down nationwide, while the average farm continues to increase in size. As of 2017, there were 2.04 million farms and ranches across the U.S. – a decrease of 3.2 percent over the past 5 years. The average size of a farm, on the other hand, increased slightly to 441 acres out of a total of 900 million acres farmed in the U.S. While the total number of operations shrank, the overall value of all agricultural production decreased only slightly – meaning that as 100,000+ small and medium-sized farms transitioned out of farming over the past five years, their land (and production) were folded into larger and larger operations. This trend towards increased consolidation is evident in looking at trends across farm sizes. Over the last five years, all categories of mid-sized farms declined while very small and large farms increased in numbers (see chart below). Only 105,453 farms (5 percent) produced 75 percent of all sales in 2017 – 12 percent fewer farms since 2012. What’s more is that the largest farms (sales of $5 million or more) accounted for fewer than one percent of all farms, but 35 percent of all sales. Small farms (less than $50,000 in sales), on the other hand, accounted for 76 percent of farms but only 3 percent of sales. This continues the trend of not only consolidation, but further economic concentration of larger and larger farms producing more and more of the total food grown and raised in this country. Fewer Farms, but More Farmers? The 2017 Census made significant revisions to the way that demographic data on individual producers was collected. Farmers – or producers as they are termed in the Census – are defined broadly as any individual making decisions about a farming operation. For the first time, the Census no longer asked farm operations to identify a “Principal Operator” but instead collected data on up to four operators (aka “farmers”) per farm. There are 3.4 million producers in the U.S., a 6.9 percent increase from 2012. 54 percent of farms reported more than one producer (versus 56 percent in 2012). The number of female producers increased by 26.6 percent and women now represent roughly a third of all farmers. Women are most heavily involved in record-keeping and financial management of the farm. The number of male producers declined slightly, but still represent the vast majority (64 percent) of the total farm population. Men had higher rates of involvement in land use and crop decisions. 11 percent of producers have served in the military, and are older, on average than other farmers. The vast majority of farmers (95 percent) are white; however the number of farmers of color counted in 2017 increased by a greater percent (7.5%) than white farmers (6.9%). Despite the prolonged downturn in the overall farm economy, the value of all ag production only declined 1.5 percent compared to the last Census. However, when put in the context of previous trends – which saw a 32 percent and 47 percent increase in the value of U.S. ag production in the 2012 and 2007 Censuses respectively – the 2017 data clearly reflects the realities of a sluggish farm economy. Overall, farm income declined in 2017 while expenses per farm increased. Average farm income was $43,053 (down 2 percent), with less than half (43.6 percent) of farmers reporting a profit in 2017 – down slightly from 2012. $388.5 billion in agricultural products were produced by farms and ranches in the U.S. in 2017, a decline of 1.5 percent since 2012. Average production expenses increased by 2.5 percent, with the majority of farms spending less than $25,000 per year. Crop commodities accounted for 50 percent of production value ($194 billion), with livestock the other 50 percent ($195 billion). Compared to 2012, total crop value declined slightly whereas livestock value increased. Large farms ($5 million or more in sales) accounted for 35 percent of all sales, despite being just one percent of all farms. Small farms ($50,000 or less in sales) contributed to 3 percent of sales in 2017, yet make up 76 percent of all farms. Over half of all sales (54 percent) came from just 10 states, with California remaining on top as the largest producer at $45.2 billion. Iowa comes in second at $29 billion, with Texas, Nebraska, and Kansas rounding out the top five. Beginning Farmers. NASS defines these farmers as having less than 10 years of experience in farming. Most of these farmer are in cattle ranching and crop farming. 27 percent of all farmers were considered beginning farmers in 2017, an increase of 5 percent over the past 5 years. The average age of new farmers is 46.3 years, nearly a decade lower than more experienced farmers. Farms led by a beginning farmer were smaller in both acreage and value of production, with most operating on 10 to 50 acres. 70 percent of beginning farmers said they were the primary owner of their operation, while 11 percent of them were tenants. Organic and Local Food. The Census found robust growth in organic production over the last five years, both in terms of sales, number of certified farms, and acres transitioning to organic. This, coupled with a consumer shift to local food markets, is changing the face of U.S. agriculture. There are 17,741 certified organic farm operations in the U.S., an increase of 39 percent since 2012. However, when including organic operations exempt from NOP certification, the increase was 27 percent. Sales of organic commodities were valued at $7.3 billion, more than double the $3.1 billion reported in 2012. 49 percent of organic farms made $50,000 or more in 2017. 3,723 farms were transitioning acreage into certified organic production in 2017, a 15 percent bump since the last Census. Over 6 percent of farms sell directly to consumers, totaling $2.8 billion. Another $9 billion was sold locally via retail markets, institutions, and local food hubs, representing 2.3 percent of food sold in 2017. Combined, sales to local and direct markets represent roughly 3 percent of all ag sales in 2017.